He’s a legendary gunslinger working for the powerful business baron she intends to bring down. When he takes her captive, desire makes a prisoner of them both. “You’re taking me to Durant?” she asked softly. He nodded. So this was really the end. She had no illusions as to Durant’s intentions. He’d kill her just as ruthlessly as he’d killed her parents. When she refused to answer, he curled his fingers around her wrists and straightened, pulling her up with him. Caitlin stared at him warily, seeing in his dark, reflective gaze something she didn’t recognize. The sun beat down in a blaze of heat; a hot, dry wind blew, lifting her hair to drift around her face, yet she felt a sudden shiver. To her sudden, intense surprise, Lassiter lowered his head and kissed her. He’s the most dangerous gunman in the West. She’s a “lady doctor” he can’t resist. Will his secret torments keep them apart? 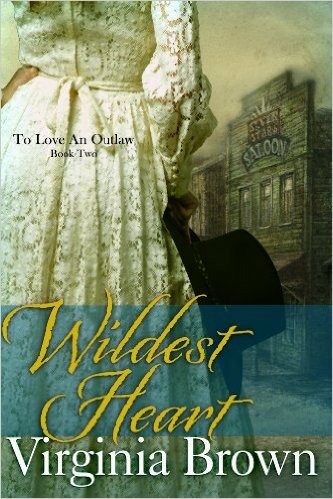 How can she handle a wounded outlaw no respectable woman should go near? 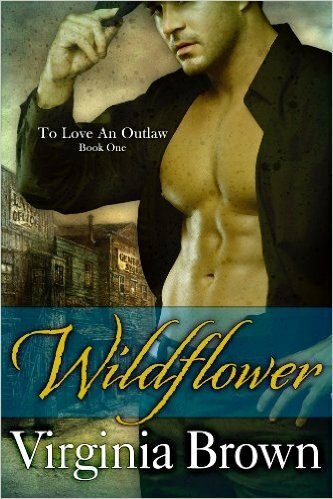 Romance and intrigue are about to collide in a steamy Texas town where sin, scandal and violence rule the night. A strange sort of current flowed between them, charged with as much intensity as a bolt of lightning. Devon felt it tighten around him, binding him to her in some inexplicable way that he couldn’t explain and didn’t want to acknowledge. Without pausing to think, he reached out to pull her to him, one hand around her wrist and the other hand moving to the small of her back. Maggie seemed to melt into him, her body boneless, soft breasts pressing against his chest as he pulled her close. His mouth found hers, and he kissed her with a fierce urgency that grew hotter and higher when she made a small noise in the back of her throat. Ah God, she was so sweet and fine, so damn fine. He couldn’t help himself. He knew better than to touch her, better than to kiss her. He knew he wouldn’t want to stop at kisses, and Maggie deserved to be treated with more respect. So why wasn’t he stopping?